How to buy plywood, wood board and hardboard siding, including advantages and drawbacks, with wood siding installation and repair tips. Wood clapboard siding has long set the bar as the preferred look and choice of siding on North American homes. Plywood siding covers large expanses quickly and can conform to curves. But, because wood board siding is expensive and increasingly scarce, several manufactured wood-based materials have become extremely popular alternatives. The main ones are plywood, oriented-strand board (OSB), and hardboard. Sold both in large panels and in clapboard-style boards, these products are significantly less expensive than real wood and offer effective usage of wood by-products. In this section of HomeTips, you will find buying guide information that will help you sort through the advantages and drawbacks of these manufactured siding materials. And you’ll get help with DIY installation, as well as cleaning, repair, and general care. Able to add great structural support to a wall, plywood is valued not only for this feature but also for its ease of installation with only basic carpentry skills and tools. Its primary drawbacks are that it can “check” (show small surface cracks) and, like all wood, is flammable. The most common plywood species are Douglas fir, Western red cedar, redwood, and Southern pine, making for a broad range of textures and patterns. Sheets come 4 feet wide and 8 to 10 feet long. Lap boards are 6 to 12 inches wide and 16 feet long. Thicknesses of both are 3/8 to 5/8 inch. With the proper maintenance, plywood siding can last from 30 years to the life of your home. Before installing, seal all edges with water repellent, stain sealer, or exterior house paint primer. Then re-stain or re-paint your house every five years. The major enemies of plywood siding are termites and moisture. You can avoid termite damage by ensuring that the siding does not come into contact with the soil, and water rot by making sure the siding is properly finished and maintained. 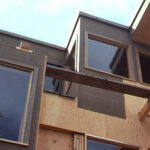 Hardboard and OSB siding are engineered wood products that can offer many benefits. A large part of the attraction is the price; hardboard and OSB are usually less expensive than solid wood. Hardboard and OSB also come in many styles and designs, ranging from traditional lap siding to rustic board-and-batten to even a stucco lookalike. Others appreciate hardboard and OSB’s smooth surface, which finishes quite well. But while this uniform surface, free of knots and other defects, can be a virtue, it also can lack the character of solid wood. Most agree, however, that wood-composite siding looks more “natural” than vinyl or aluminum. Panels come in 4-by-8 or 4-by-10-foot dimensions, and lap siding boards come 16 feet long, 4–16 inches wide, and usually 7/16- or 1/2-inch thick. Hardboard and OSB sidings are usually prefinished in the factory and sometimes come stained or prepainted, as well. While hardboard and OSB siding have been marketed for their strength and durability, they are not the best choice for all homeowners, particularly those who live in damp or rainy climates. Moisture has been known to be a problem if allowed to seep around (or in some cases through) the finish and into the wood fibers themselves, resulting in expansion, buckling, and rot. If considering hardboard or OSB, be sure to discuss these concerns with your retailer and research manufacturers carefully. Always prime or seal your hardboard or OSB siding before installation; be sure to cover all edges. 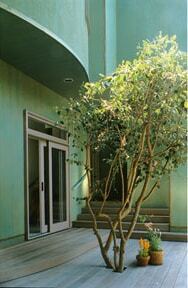 Composite siding can be easy and quick to install, particularly varieties that are long and lightweight. To prevent moisture problems, install siding a minimum of 6 inches off the ground, keep sprinkler water from hitting the surface, and ensure that garden mulch does not build up against the siding. 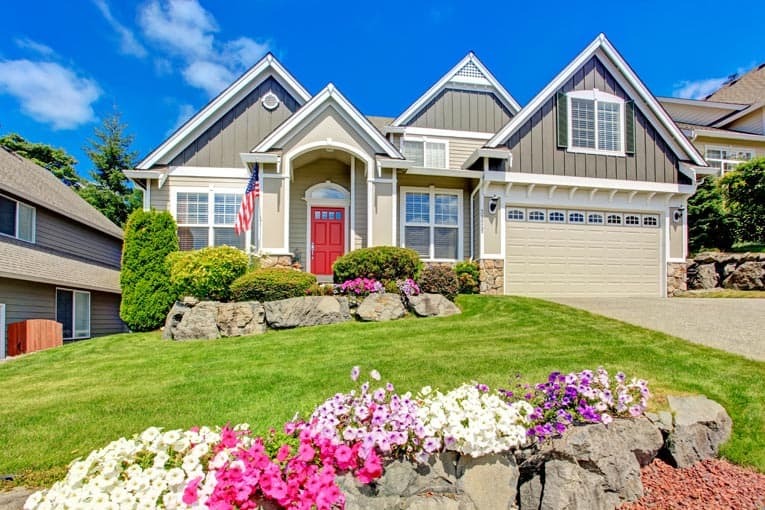 Inspect your siding regularly, checking for damage to the paint job or where seams meet. Repaint the siding approximately every five years to maximize its lifespan.